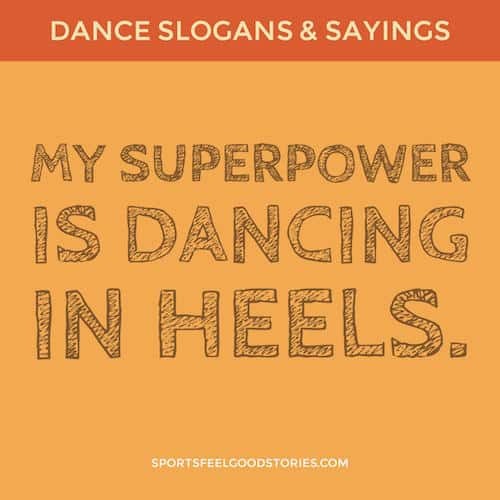 Dance quotes come natural to many folks because they enjoy describing things they love to do. Philosophers for centuries have claimed that it is one of the purest and most passionate forms of expression. And the best thing about it is that you don’t have to be a perfectionist to enjoy the art. Whether you are a dancer, someone inspiring to be one or want to share the spirit with a loved one or friend, this collection will give you a lot to think about. Enjoy! Dancers have a very hard job. We must take our ugly, callused, blistered, and bruised feet and present them in a way so that they are mistaken as the most beautiful things on Earth. Dance is an art that imprints on the soul. It is with you every moment, it expresses itself in everything you do. 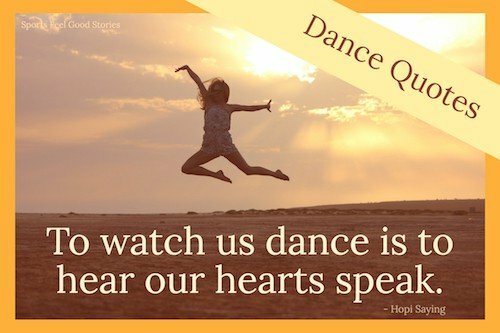 Dancing: The highest intelligence in the freest body. Dancing allows me to explore myself in so many ways, to learn about my limitations and strengths, my ability to cope with adversity and to go farther than I thought I could. You find out what you’re made of. Check out our Dancing Team Names. Dance is meditation in movement, a walking into silence where every movement becomes prayer. Dancing is surely the most basic and relevant of all forms of expression. Nothing else can so effectively give outward form to an inner experience. Learning to walk sets you free. 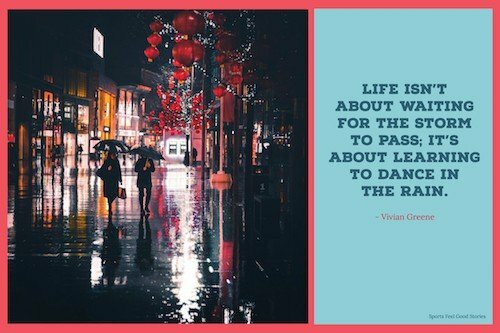 Learning to dance gives you the greatest freedom of all: to express with your whole self, the person you are. Classical dancing is like being a mother: if you’ve never done it, you can’t imagine how hard it is. A fine picture is but the image of nature; a finished ballet is nature herself. First comes the sweat. Then comes the beauty if you’re very lucky and have said your prayers. All there is to be said for work compared to dance is that the latter is so much easier. 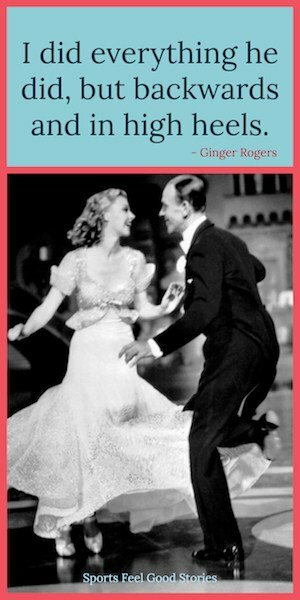 Just don’t plan to marry anyone who dislikes dancing; it’ll probably win in the end! When you are on stage you are having an affair with three thousand people. When you are fifty, you’re neither young nor old; you’re just uninteresting. When you are sixty, and still dancing, you become something of a curiosity. And boy! if you hit seventy, and can still get a foot off the ground, you’re phenomenal! A cathedral, a wave of a storm, a dancer’s leap, never turn out to be as high as we had hoped. 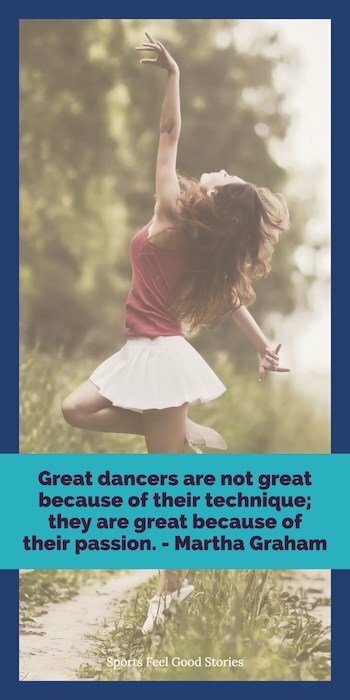 Dancing is wonderful training for girls; it’s the first way you learn to guess what a man is going to do before he does it. Dancing’s just a conversation between two people. Talk to me. 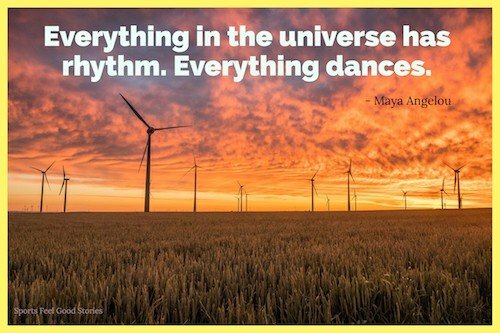 Dance for yourself. If someone else understands, good. If not, no matter. Go right on doing what interests you, and do it until it stops interesting you. Oh, come on, ladies. God wouldn’t have given you maracas if He didn’t want you to shake ’em! Frances “Baby” Houseman: So you’re really a Rockette? I think you’re a wonderful dancer. Penny Johnson: Yeah, well, my mother kicked me out when I was 16. I’ve been dancing ever since. It’s the only thing I ever wanted to do anyway. Frances “Baby” Houseman: I envy you. I’m gonna do my kind of dancin’ with a great partner, who’s not only a terrific dancer; somebody who’s taught me that there are people willing to stand up for other people no matter what it costs them; somebody who’s taught me about the kind of person I wanna be. 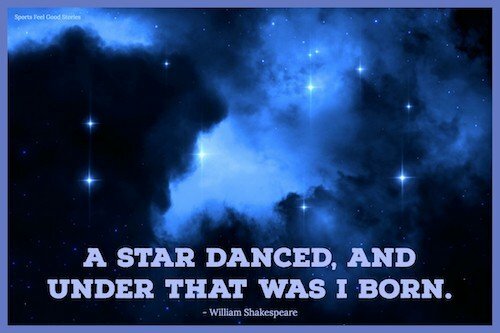 Dance helps us dream bigger dreams and understand our connectedness. When we close our eyes and dream, we are all brothers. 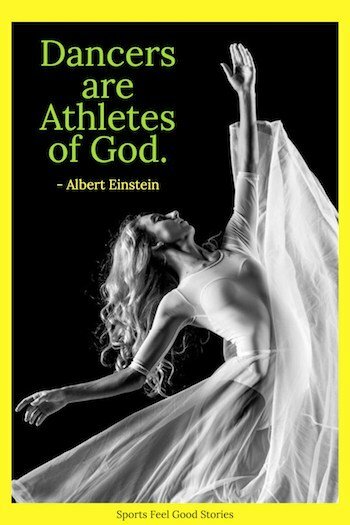 God respects you when you work, but he loves you when you dance. Without dancing, what’s the pointe? Without dance I cannot feel my soul, hear my heart, or see my dreams. To dance is to reach for a word that doesn’t exist, To sing the heartsong of a thousand generations, To feel the meaning of a moment in time. When a body moves, it’s the most revealing thing. Dance for me a minute, and I’ll tell you who you are. When a dancer comes onstage, he is not just a blank slate that the choreographer has written on. Behind him he has all the decisions he has made in life each time, he has chosen, and in what he is onstage, you see the result of those choices. 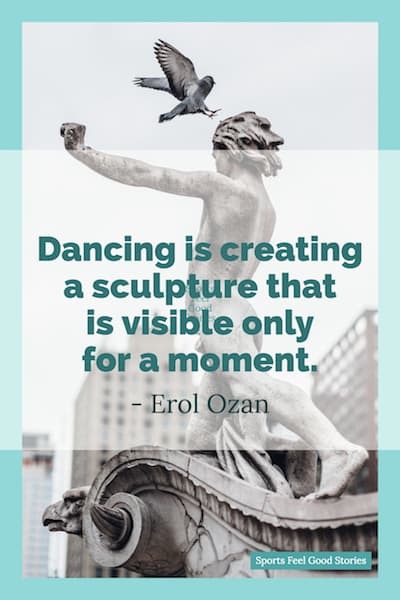 You are looking at the person he is, and the person who, at this point, he cannot help but be exceptional dancers, in my experience, are also exceptional people, people with an attitude toward life, a kind of quest, and an internal quality. They know who they are, and they show this to you, willingly. When I miss class for one day, I know it. When I miss class for two days, my teacher knows it. And When I miss class for three days, the audience knows it. 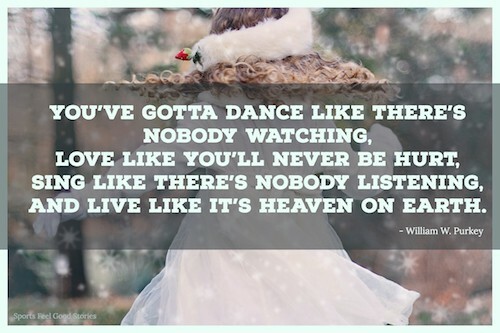 Please let us know any suggestions for more dance quotes on the Contact page. We appreciate your input.